If you’d like to discuss this blog, head on over to the comments thread on the official forums. Greetings glorious capsuleers, and welcome to the first security update of 2019! Usually, these security updates come quarterly, but we decided to put together this one off New Year update to shed light on action that has been taken place over the last few days. This report comes off the back of a large account ban wave that occurred in the last few days in relation to client modification. We’re happy to report that the team has identified and permanently banned 637 accounts that were positively identified as using modified clients, also known as client hacking, which is a breach of the EVE Online EULA. In addition to this, the war against Faction Warfare botters, market botters and courier mission botters continues. After repeated hammering, we’ve seen a substantial decrease in the number of courier mission botters, however as always, we are prepared for the fact that after a while, this activity will increase again, and we’ll have to bring the hammer down. 462 account bans for account hacking. 1951 account bans for botting related activities. 581 account bans for RMT related activities. As with any profitable business, distribution and marketing play a big part in raising awareness of RMT. Team Security has been working closely with our Business Development and Legal teams to stamp out as much advertising and sales of illicit ISK and items as possible over the course of the last month or so. A recent focus has been working together with ebay to remove illicit sales from their platform. This is always an ongoing process, but so far, we’ve managed to clean up slightly more than 500 instances of ISK, asset and character sales. We’ve also been working to continue taking down illicit VK and facebook groups too and are still working on sanitising both platforms as best as possible with their support. Given the ease of access to alpha characters that are competent for use in botting activities, the EVE Development Team is currently exploring the possibility of putting a few features behind a requirement to have an Omega character. Right now, these explorations are in the early stages and aren’t nailed down, but may include things such as high level (level 4 and 5) courier missions, and other similar activities in New Eden. We’d love to hear your feedback on this, so be sure to give your opinions and suggestions in the feedback thread for this blog! 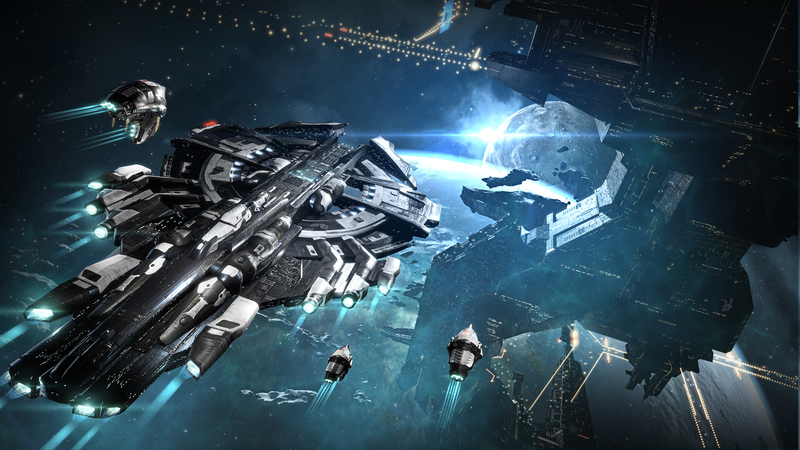 We want to ensure that the community helps to shape measures that will protect New Eden going forward. We’ll keep hammering this point home, as it can’t be overstated enough - Don’t RMT, and don’t get involved in botting. If you’re an alliance leader, don’t harbour these people – it won’t serve you well in the end. Eventually we’ll come for the dirty ISK. By RMTing, or by harbouring people who bot and RMT, you’re contributing to the real-life wallets of people who do not care about EVE, or our community. These are people who hack and destroy the accounts of innocent players, in some instances causing irreparable damage to characters and shattering years of progress for legitimate players who play by the rules and just want to enjoy EVE. Most importantly, if you see botting and RMT happening – REPORT IT. Even if you think something may be a minor offense, report it. As we’ve explained before, nailing a single botter, ISK buyer or ISK seller can lead to a chain reaction that unveils an entire RMT operation that’s sinking substantial amounts of ill-gotten gains into the economy. While we don’t respond to every individual report of botting or RMT, they’re all taken 100% seriously, and are thoroughly investigated for credibility. Aside from reporting botters and real money trading, the biggest help you can provide is not to give these scumbags any business. We know how much effort goes into growing and maintaining characters, as well as gathering all the assets that pilots end up with after a long an illustrious career as a capsuleer. Protect it all. Enable two factor authentication on all your EVE accounts, and on the email accounts that are verified against them. Most hacking cases that we deal with don’t originate from a simple password breach on an EVE Online account – they occur when a player’s email account is hacked, and a password reset request is sent to the email address, which then gives access to your characters and assets. You can help keep your accounts secure by using 2FA on both your email and your EVE Online account and reduce the risk of becoming a victim of account hacking. Keep the reports coming thick and fast. RMT and botting are two things that have no place in New Eden. While we don’t respond to every individual report, we make sure that every notification that comes in is properly and fully investigated to ensure that if any foul play is afoot, it’s taken care of. Help us to help you, and help us keep New Eden free from the scourge of these scumbags who seek to abuse it and don’t care about the damage they cause. Oh… and before we go, one last thing! We’re super happy to announce that there’s now more Police SKINs available in the New Eden Store as of downtime today, and in celebration of nailing more than 600 accounts to the wall that were actively using illegal client modification, they’re available of two of the ships most widely used by these scumbags who like to engage in botting - the Nyx and Vexor. What’s better than using the same hull to take these guys down if you’re out killing bots? Using the same hull, wrapped in the glorious red and blue flashing colors of the space police! That's it for now, thanks for reading! Regular security updates will resume in a few weeks with the Q1 Security Update. We'd love to hear your feedback, so feel free to hit up the comments thread. Until next time, stay safe out there, and stay on the right side of the space-law, faithful capsuleers!